Mobile Tip: Tap 'Filters' To Show Categories (when in course list view). Capped Crew Numbers, Great Cooking & Company! 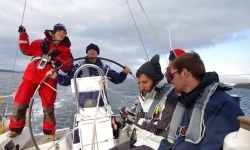 Looking for some AMAZING sailing experiences? 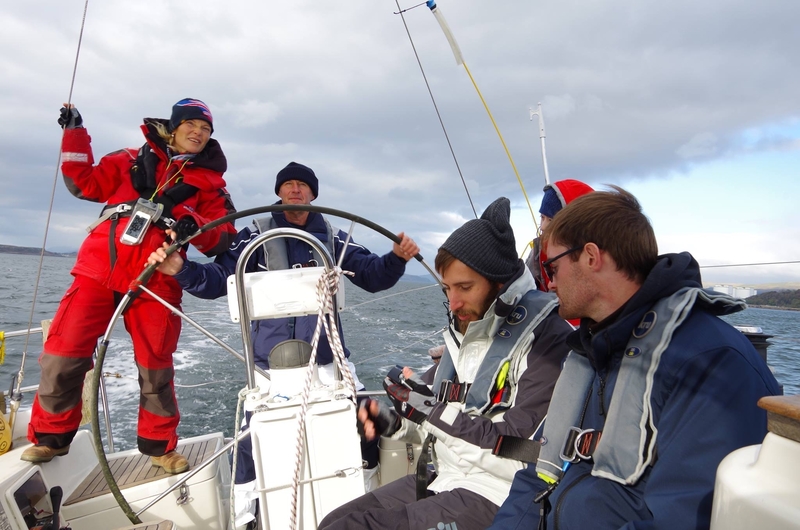 Join us to sail to some of then most stunning and unique locations around Scotland, for your ONCE-IN-A-LIFETIME EXPERIENCE! Who's It For & What Is It? No need to be an 'expert'! Also ideal if you have higher-qualifications in mind! Our 5, 7 or 9 Nights AdventureSail trips are legendary! 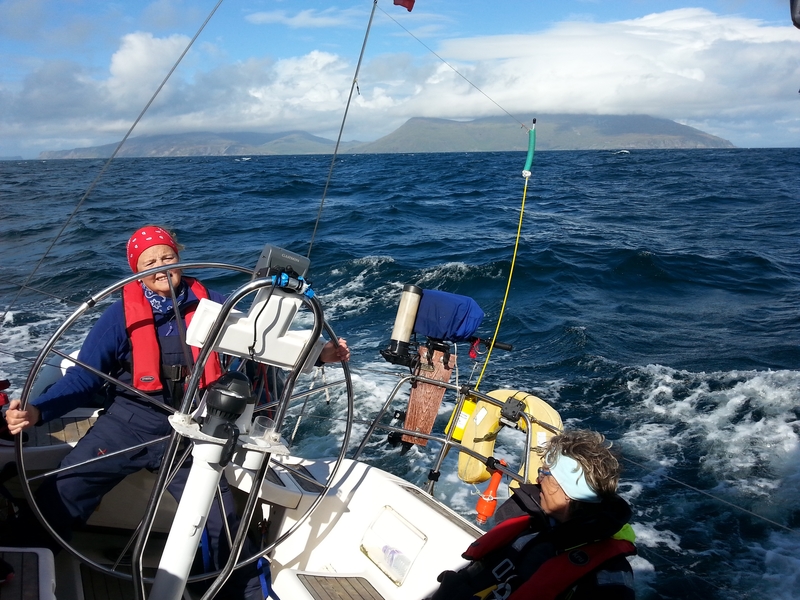 They're designed as challenging but enjoyable cruises for those that already have at least some experience of sailing and who already know they enjoy it! 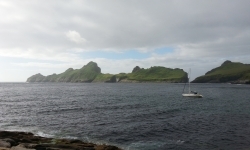 Much more adventurous than a standard 5 Nights RYA Course, and much more bespoke and unique too - you will join a small crew of like-minded individuals, led by a Senior or Chief Instructor, to cruise to various Islands and Harbours, including making for St Kilda, the most remote isle in the U.K. as well as the Inner & Outer Hebrides, Orkney, Oban, Island Malt Whisky Distilleries & even the Irish Sea to Belfast, Giants Causeway and Dublin! All on board meals, snacks & drinks are included, as well as all safety equipment & lifejackets & 7 or 9 Nights accommodation. 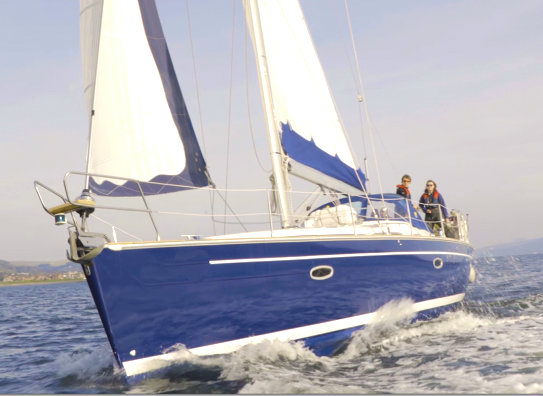 Yachts on AdventureSail are MCA Coded & Inspected, fully insured and led by globally-experienced RYA/MCA Yachtmaster Offshore Commercials & Instructors. Check-In / Arrival is from 1830hrs on your start-date, and you will spend 7 or 9 nights on-board with us, depending on which AdventureSail Cruise you choose, with nights spent away at island moorings, bay anchorage or a one of the village marinas in the sailing area. You can expect to sail a significant amount, with some groups covering over 400nm, and you will almost certainly make longer passages including overnight sailing. Couples will always get a private cabin and male / female individuals will always have their own designated sleeping and storage areas on board too. Keeping reading below for full details of each AdventureSail Cruise. 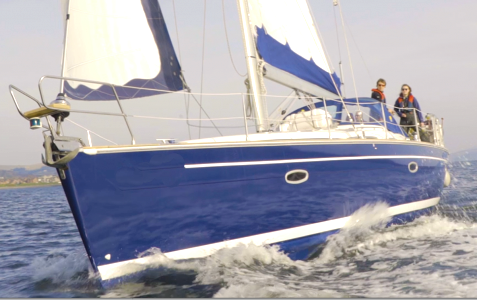 This is your once-in-a-lifetime sailing experience! Recommended Experience: It's recommended that you have some practical yacht cruising experience, and know already that you like sailing. This trip also highly suitable to those building miles towards higher qualifications. Bring a medium-sized hold-all style bag, a range of normal clothing for warm and cold, hat, sunglasses, trainers / welly-boots, a towel, toiletries, sleeping bag & pillow, mobile phone / tablet / camera & chargers, and bring some spending / pocket money should you and your crew choose to visit specific marinas / restaurants / shoreside activities etc. at the islands and harbours you visit. You will need to bring a passport sized photo & £5, for your Photo-I.D. Licence Card Certificate, at the end of the course. Sub-Frame: Scroll or drag reviews to read more. £49 Refundable Deposit To Reserve. Balance due 28 days prior. There is normally free and secure marina car parking at all our start and end locations for our AdventureSail Sailing Trips. 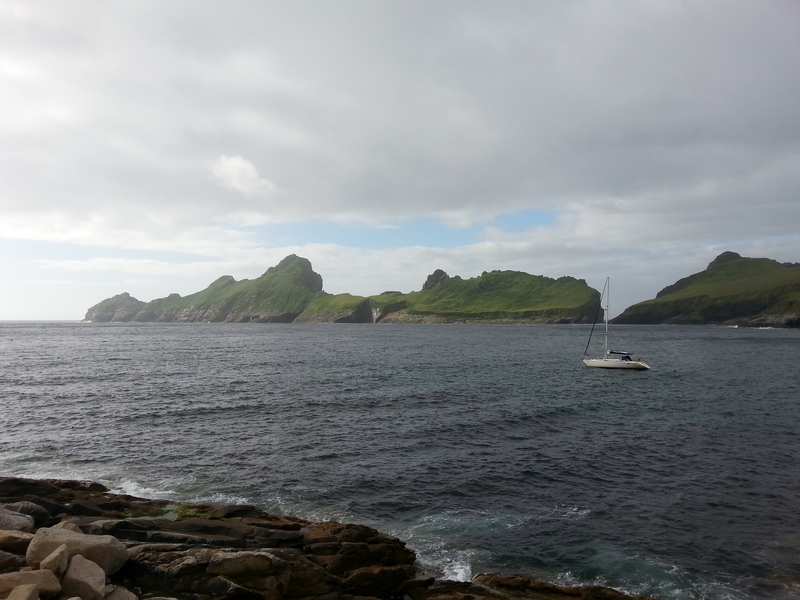 For our one-way trips, such as the St Kilda or Hebrides Cruises, which start at one location and end at another, (e.g. Largs to Oban or vice-versa), many people choose to leave a car at Largs Yacht Haven, and either take a train back from Oban at the end, or get a train up to Oban for a start, leaving their car at Largs Yacht Haven so it is waiting there for their return. You could also take a train, or fly, to Glasgow, and from there take a train direct to Largs from Glasgow (around 1hr), or from Glasgow to Oban (around 3hrs). Click on the individial AdventureSail Cruise date to read more detailing info and joining instructions, including check-in and check-out times and locations. With AdventureSail Cruises there are no hidden costs or charges, and the fee includes all on-board meals, snacks & drinks, all safety equipment, fuel & gas. 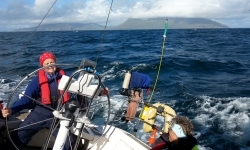 You can bring your own waterproofs, or you can hire from our main centre at Largs Yacht Haven. The intermediate ports, marinas, islands, anchorages & moorings you visit may be subject to change, and if there are any charges these are normally split between all on-board. If you and your crew choose to visit specific places that may make a small charge to stay their and use the facilities, you can normally expect to pay around £3-6 each. 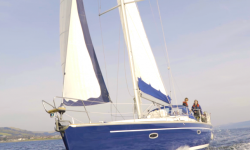 AdventureSail Cruises are run directly by sailing cruise providers, with ScotSail / GoAdventureSail acting as intermediary agent marketplace platform providing secure booking & payment facilities to protect you, the customer. Click To Read Verified Customer Reviews & Ratings!